This week on Jackie & Marilyn, we are focusing on the very important subject of self love and body confidence, which is often the driving force behind many of our fashion choices. I love the fun, comfortable feel of this dress. The way it flows and twirls makes me feel carefree. The vibrant red is a sure way to brighten my mood! This week on Jackie & Marilyn, we are focusing on the very important subject of self love and body confidence, which is often the driving force behind many of our fashion choices. Today we are taking a moment to follow Claire’s example and engage in self love. I chose this photo because it was caught in a moment when my husband and my dog were both cracking me up, and it displays a genuine moment of happiness. Nothing to me is more beautiful than someone who is genuinely happy (see Melissa below) and it’s important to recognize that in myself. There is a great Amy Poehler quote that reads something like “You would never think or say such mean things to your friends. We need to give ourselves a break.” Reading that quote a while back led to an important epiphany I had where the biggest bully/mean girl I dealt with in my adolescence was me. So every day I make an effort to say one nice thing to myself about how I look or one thing that I love about myself. And honestly, it has made such a difference. Remember that you are your biggest critic and biggest cheerleader, and you have the choice and the power to decide which one you are going to be. 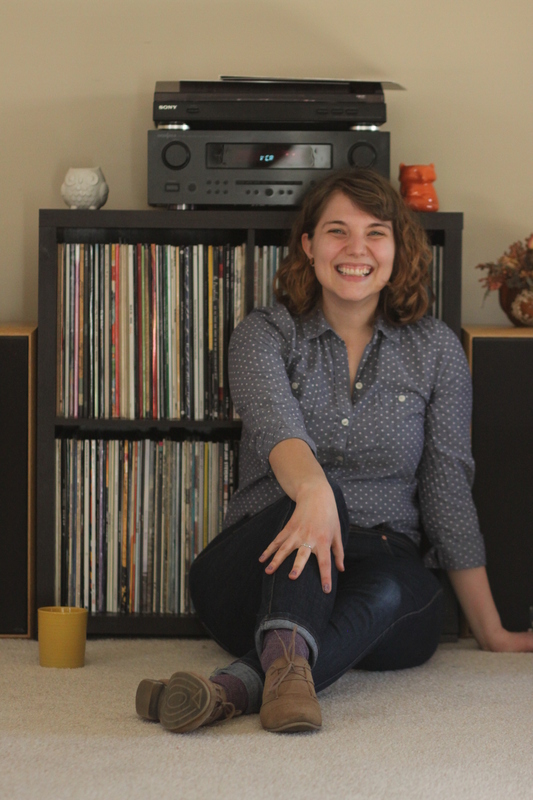 I know this is just a picture from this month, but I adore it because I am truly (very visibly) happy and carefree. I don’t “smile” often, my face is either completely contorted in laughter or nothing at all – so I often get the “you should smile more” speech from people I know and strangers alike. Well guys, here is my smile! I picture my future with this man to be one full of laugh lines and I can’t wait to earn them! Remember that we want to see your pictures! Instagram your pictures with #jandmloveyourself and gain an extra entry to our giveaway. This week on Jackie and Marilyn, we are focusing on the very important subject of self love and body confidence, which is often the driving force behind many of our fashion choices. Today we hear from guest blogger Claire Eckel, who reached out to us with the intent to spread more self-love in the blogging world through sharing her own journey. Hi, my name is Claire Eckel. I wanted to reach out to as many people as I could to spread self love. Our society is so criticizing and I think it’s important to take a moment and appreciate ourselves, because we are awesome. I also wanted to share a little about my journey, in hopes of helping even one person feel less alone in this world. As a kid, life had endless possibilities. Be famous? Check. Travel the whole world? No problem. Invent awesome things? Like, obviously. I wish as adults, society as a whole could revert back to enjoying the simple joy of living life. Why do we start expecting so much from ourselves even though we logically know that no one is perfect? We all strive for the unobtainable over and over. As I grew up, I did what so many others do. I started to dislike the way my body looked. I began noticing unappealing aspects that I wished I could hide. For me, however, this thought process never stopped or even eased up. It grew and grew and grew. I decided had to do something about it. So I began restricting foods from my diet. I was living in England at the time and by the time I came home I was a skeleton. My family barely recognized me. It wasn’t just the weight loss that was lost. I lost my inner self, my sense of who I was and even my self- respect. Thus began a journey in and out of hospitals, psych wards and treatments centers. A war was raging inside my head and I was losing. I couldn’t stand myself. You would have never known it, though. I pasted on smiles to hide the chaos in my mind. I did anything and everything to numb out the battle that was incessantly tumbling around in my skull. I starved, cut, purged to get rid of my emotions. I desperately to disappear. The bloody battle raged on for years. My life was centered on the chaos it created. Then a wonderful surprise happened. I became pregnant. I began to grow a tiny little being inside me and it was amazing. I gave birth to a beautiful daughter. I learned how to be selfless. I began to put others before myself. 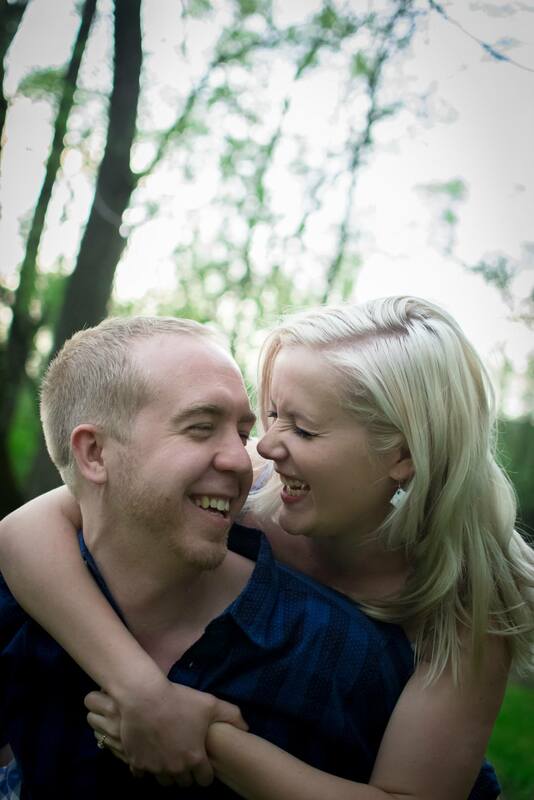 Slowly, the center of my world expanded to encompass a loving husband and vivacious daughter. No longer was I alone in my own imprisonment. I have learned to re-center myself, to include only healthy and loving things in my life. It has taken many trials, many failures, to learn how to balance my life, my daughter, my husband and our future as a family. But I am so proud of how far I have come. No longer am I stuck in a dark hole of self-hatred. No longer do I stare for hours at myself in the mirror, despising every inch of body. I can fully live life, and it feels amazing! I know what it feels like to feel so alone, so trapped in our own minds. I understand the urge to disappear. And I want others to know that you’re not alone. You are loved, loving and loveable! In honor of Claire’s story, we want to see pictures that embody your confidence and love for who you are! Instagram your pictures with #jandmloveyourself so we can share how beautiful you are. 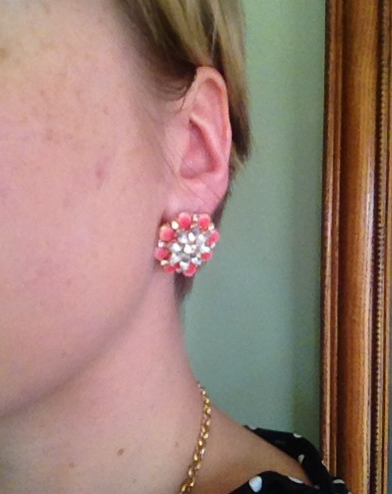 As an extra incentive, anyone who shares their photo will receive a bonus entry into our earring giveaway! We’ve been experiencing a bipolar spring so far, with highs in the 70s to some snowfall. Even though the weather still can’t make up its mind as to what season it wants to be, my spring style is in full swing. It’s always like Christmas when I get a package from ModCloth. My latest purchase was a Happy Tax Season/Treat Yo Self Day purchase, and this fabulous dress was part of it. 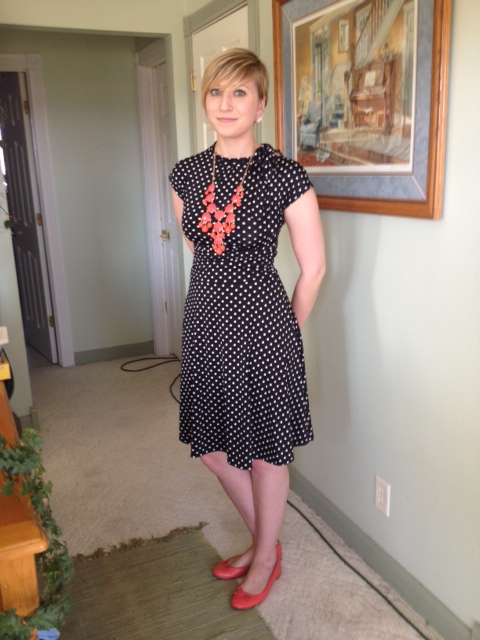 I had seen it a couple of times in the ModCloth Style Gallery and I fell in love with it. Naturally, I had to have it and I was most pleased when it arrived. I absolutely love this dress! The material is stretchy and comfortable and the fit is very flattering to my body. I don’t have a lot of polka dotted items in my wardrobe, so this was a nice addition. 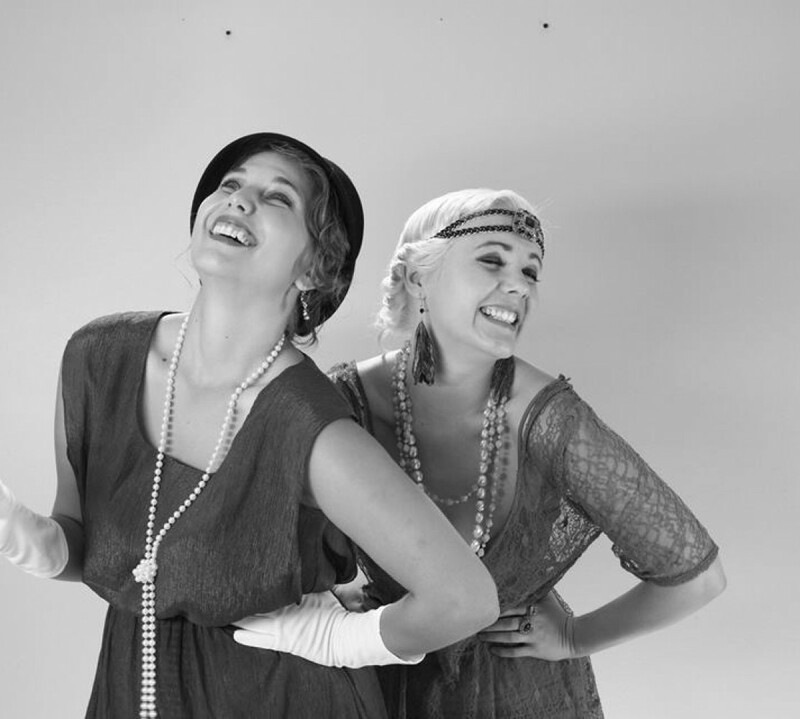 The knee-length hem and side neck tie give it some vintage flair, which is always a good thing! 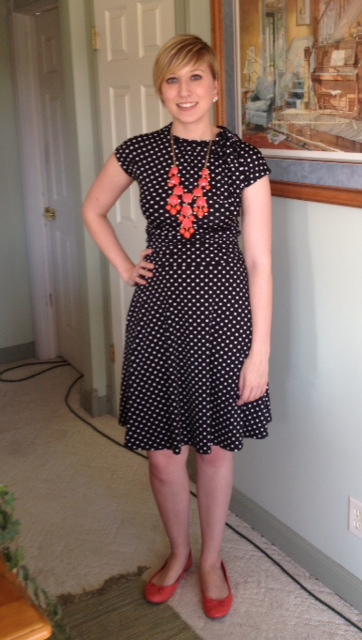 I decided this dress needed a huge pop of color, so I styled it with bright coral accessories. The bubble necklace is from Charlotte Russe. They have some super cute and inexpensive accessories. I have this necklace in two other colors. 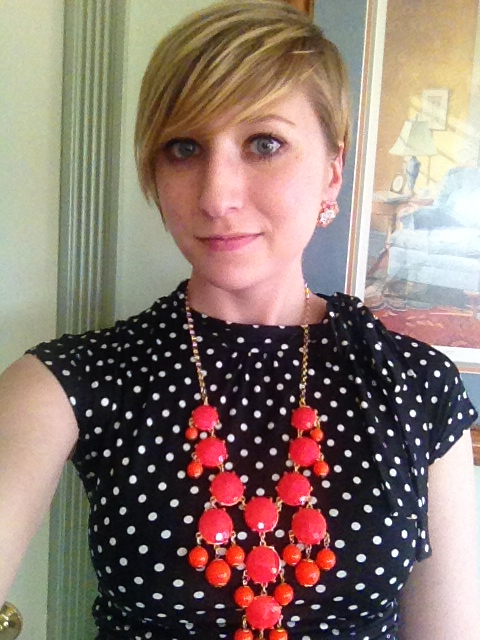 I’m loving the bright statement necklace trend. The fabulous earrings are from Forever 21. The ballet flats are another Target score. Judging by how many coral colored items I have in my wardrobe, it’s pretty safe to say it’s my favorite color. I’m pretty sure it can go with anything. What are some of your favorite color staples? Earlier this week, I did something I haven’t really done before, but have been meaning to for a while: thrift shopping. Thanks to the ridiculous amount of clothing refashion tutorials on Pinterest, I’ve been wanting to peruse thrift shops for cool and unique pieces I could upcycle, which I can now do since I bought a sewing machine last month. I’ve also been wanting to find some fun vintage pieces to spice up my wardrobe. I found this fabulous skirt at Savers on their little vintage rack. 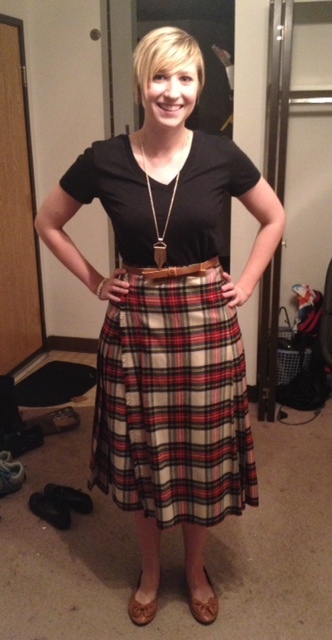 It’s a tartan high-waisted A-line skirt made in Great Britain. I tried to figure out when it was made but had no such luck. According to one of the ladies I work with, that particular tartan is of the royal House of Stewart of Scotland. Upon further research, I discovered that besides it being worn by clansmen, it was worn by the pipers of the Black Watch of Canada, Royal Scots Dragoon Guards, and the Scots Guards (among other groups) as well as being the personal tartan of Queen Elizabeth II. The More You Know! They’re some pretty cool facts that make this skirt feel more special to me and I am very glad I found it. My coworker was surprised to hear I found it at a thrift store for $15. The skirt has a few small stains and tiny holes here and there, but it fits me perfectly. I love high-waisted A-line skirts, though this one is a tad longer than I usually like. The fabric is pretty thick, which is nice because it keeps my legs warm. It’s also quite fun to twirl in! 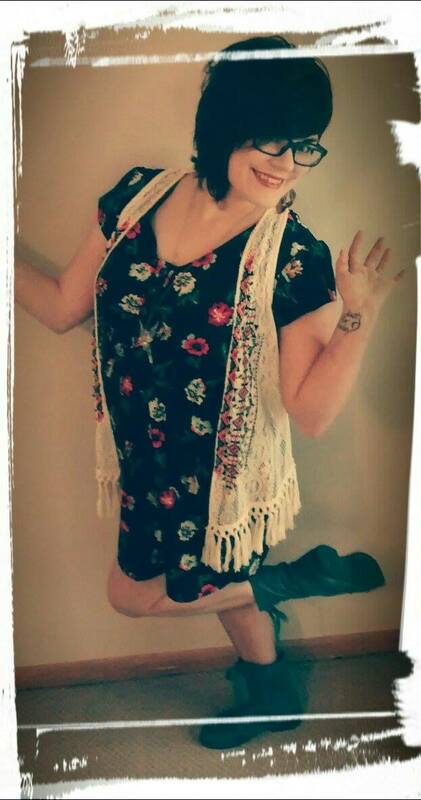 I styled it with a plain black v-neck tee from Forever 21 and some neutral accessories to let the pattern stand out. The necklace and bracelet are also from Forever 21 (you don’t want to know how often I shop there). 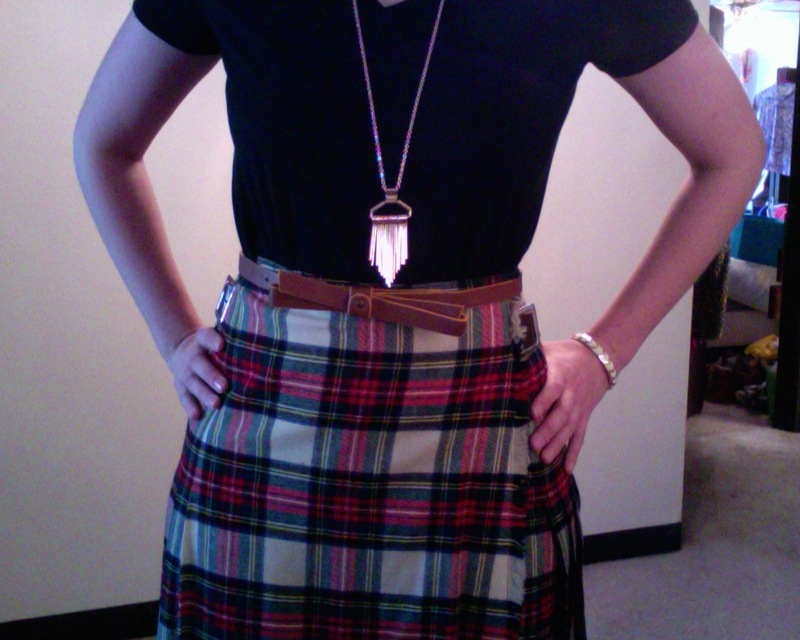 The belt came from a skirt I got from ModCloth. They give the outfit a little more of a modern feel. The shoes are a very recent purchase from Target. They’ve really been killing it with their shoes lately. I prefer flat shoes; heels make my feet cry and I’m tall enough as it is, so I’ve been on the look out for some cute flat shoes I can wear to work. This is fourth shoe purchase I’ve made at Target in the last few weeks. Not ashamed. 🙂 These ballet flats are so adorable and comfortable, aside from the blister on my heel. 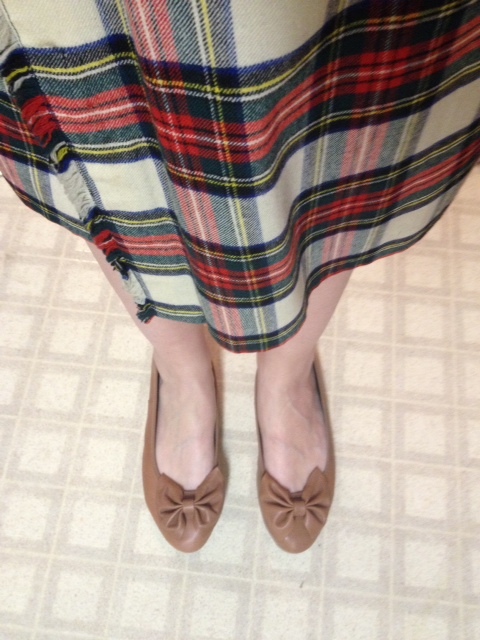 The curse of brand new shoes… But they have bows on them, so all is forgiven! What are some of your favorite thrifted finds? Tell us about them in the comments!